US intelligence writer Kenneth R. Timmerman has come up with a plausible 9/11"conspiracy theory." No greedy landlords, CIA inside jobs, mini nukes, Mossad agents, missing passengers or bogus aeroplanes. Straight forward and simple. The Iranians played a key role in the world's worst terrorist incident. FP: Thank you for joining us today to discuss the assassination of Imad Mugniyeh, one of the most wanted terrorists in the world, in Damascus on Tuesday. Give us the background on this guy. Aside from al Qaeda, no one else surpasses him in responsibility for American deaths right? Timmerman: That’s right. Before 9/11, Mugniyeh was the world’s most wanted terrorist, for the simple reason that he had killed more Americans than anyone else. FP: So who do you think is responsible for Mugniyeh’s killing? What is their motive? Timmerman: The list of Mugniyeh’s enemies is long. Hezbollah, of course, has accused the Israelis. It won’t be long before they accuse us, too. One of my sources who grew up with Mugniyeh and remains close to his family in Lebanon, told me yesterday morning that Hezbollah surveillance teams picked up the arrival at Beirut airport of an 8-man U.S. paramilitary team just two days before Mugniyeh was killed. I saw a report just yesterday suggesting that the Rev. Guards lured Mugniyeh into a trap into Damascus, to make sure that he never revealed the extent of his involvement with al Qaeda in the 9//11 plot. This was a secret the Iranians would have liked to ensure that Mugniyeh carried to his grave. I’ve got news for them, though: the word is out. Just take a look at pages 240-241 of the 9/11 commission report, which describes in elusive terms the travel of eight to ten of the “muscle” hijackers in and out of Iran in the company of a “senior Hezbollah operative.” That operative was none other than Imad Mugniyeh. FP: In other words, you are saying that Mugniyeh was involved with the 9/11 terror attack and so was Iran - and the Iranians might have very well killed him so that the full extent of their own involvement would not become known. Timmerman: There is absolutely no doubt that Mugniyeh and his masters in Iran were directly and materially involved in the 9/11 plot. First, there is the evidence discovered very late in the day by the 9/11 Commission, which I describe in detail in Countdown to Crisis. What is astonishing is that this information has not been widely publicized. I spoke again just yesterday with one of the top investigators involved in reviewing the highly-classified U.S. intelligence reports on Mugniyeh’s involvement in convoying 9/11 hijackers in and out of Iran prior to 9/11. He was astonished when I told him that few people were yet aware of this. “That’s like saying you didn’t know that Jesse James was a crook,” he said. The Iranians were TERRIFIED on the day of 9/11 and for the next month that the United States would “connect the dots” and discover their involvement to the 9/11 plot, as I reported in Countdown to Crisis. Senior Iranian government officials were making desperate phone calls to relatives in the United States, asking them to rent apartments for family members so they could get out of Tehran before what they assumed would be a massive retaliatory U.S. military strike. Of course, as we know now, that U.S. retaliatory strike never occurred – because the CIA and other U.S. government agencies succeeded in burying the information they had collected (or the case of our technical agencies, that they had siphoned up). I believe when Americans realize the full extent of the Iranian government involvement in the 9/11 plot, they will demand action from their president – no matter what party affiliation that president may have. Actually, you might want to add the Palestinian Liberation Organization (PLO) to the top of the list. 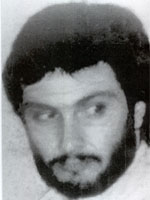 During Imad's career as a terrorist, he once was a member of Fatah and its Force 17 and was involved in training Hezbollah terrorists along with also being affiliated with Al-Qaeda In Iraq. Shame on you Trevor! You missed the most important one of all - I mean, who IS Barack Obama? Mother: Ann Dunham, a white atheist from Wichita, Kansas. Obama's parents met at the University of Hawaii. When Obama was two years old, his parents divorced. Mother: Married Lolo Soetoro, a radical Muslim from Indonesia. 3- When Obama was 6 years old, the family relocated to Indonesia. 4- Obama attended a Muslim school in Jakarta. He also spent two years in a Catholic school. 5- Obama takes great care to conceal the fact that he is a Muslim. He is quick to point out that, "He was once a Muslim, but that he also attended Catholic school." 6- Obama's political handlers are attempting to make it appear that Obama's introduction to Islam came via his father, and that this influence was temporary. In reality, the senior Obama returned to Kenya Soon after the divorce, and never again had any direct influence over His son's education. 7- Lolo Soetoro, the second husband of Obama's mother, Ann Dunham, introduced his stepson to Islam. radical teaching that is followed by the Muslim terrorists who are now waging Jihad against the western world. Since it is politically expedient to be a Christian when seeking major public office in the United States, Barack Hussein Obama has joined the United Church of Christ in an attempt to downplay his Muslim background. Yes, and BArak will be the BLACK POPE which Nostradamus refer to.He will lead the world to the final cataclism and we all will burn in hell. some will be forgiven(very few ) and most will be punished forever, for allowing a Black humanoid to take over the most religious country of the world, the once chosen New jerusalem, the USA od AMERIKAAAAA!! !